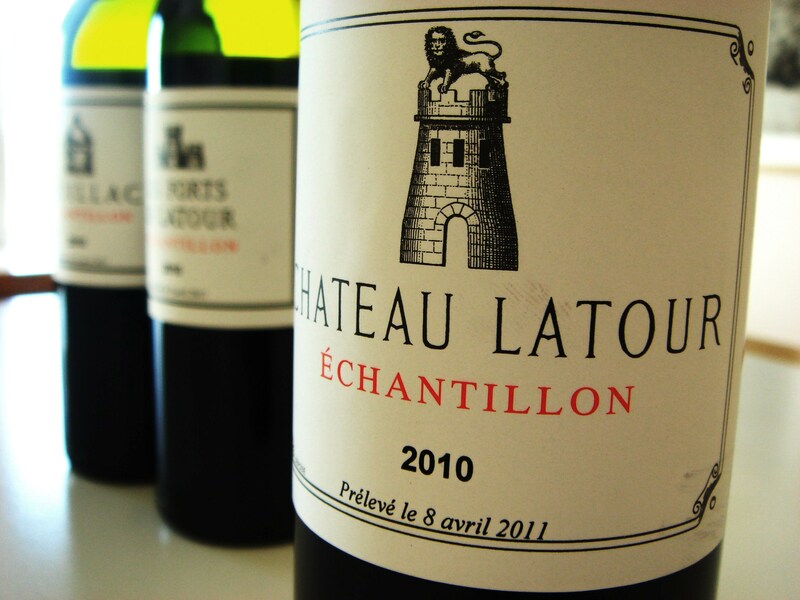 There is no doubt that Latour has produced a set of extraordinary wines in 2010. There is profound depth, concentration and freshness here in the wines. Chateau Latour itself, which represents only 36% of the total production of the harvest, is dense and concentrated with real minerality and focus. It is outstanding. So too is Les Forts de Latour, a separate wine in its own right made from plots outside the main walled vineyard [the Enclos], but this year also including some fruit that usually would have made it to the grand vin. Les Forts was absolutely dazzling on the day and to me it is of first growth quality. It is 40% of the production, the remaining 24% going into a clean and very pure Pauillac. In terms of the season winter rainfall at the end of 2009 helped top up the water table here, which would prove to be good news later in the year. 2010 got off to a very cold and dry start, conditions which meant that vine budding was delayed. An extremely warm April [a bit like last week in Bordeaux], encouraged vine growth but wet weather in June disturbed flowering which lead to strong flower abortion and berries of uneven size. Hot weather returned in July and for the next three months rain was down 60% on average. The moisture retentive clay terriors here helped and maintained an even ripening process. The more sandy and gravely sites were more water stressed. The rain between September 6 and 8 [18 mm] encouraged ripening and helped move on the phenolic maturity of the grape skins. The harvest began on September 20 with the Merlot, the best plots begin picked a few days later. The grape analysis showed excellent acidity alongside high potential alcohols [14.4]. Cabernet Sauvignon began picking on October 4, after some heavy rain, but sunny weather continued through until the end of the harvest on October 11. The harvest overall yielded grapes with phenolic density, high sugars and good levels of acidity. It is this acidity gives the wonderful freshness to these wines.